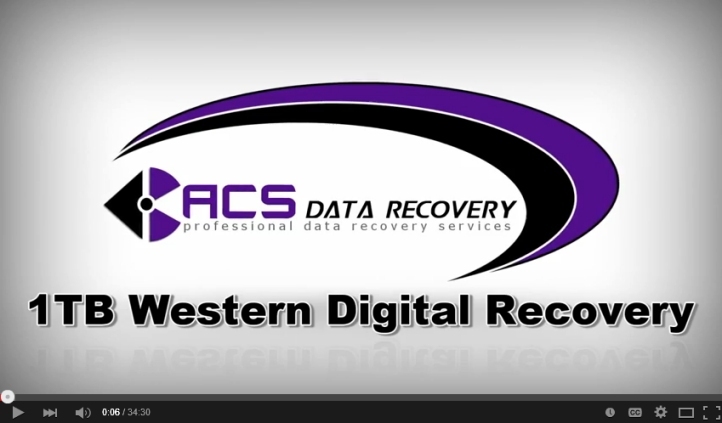 We get a lot of calls for data recovery on Western Digital hard drives. It’s not that Western Digital drives are inherently worse than other brands, but between them and Seagate, they own a huge portion of the market share. It would be like, if everyone only drove Ford’s and Chevy’s…only Ford’s and Chevy’s would break down. Doesn’t mean they are all bad…there are just more of them. 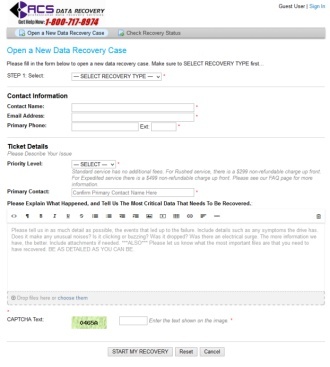 We can recover data from any model Western Digital hard drive. It doesn’t matter what capacity it is, or what style. We work on every family of drive produced and any capacity. So no matter what type of hard drive you have, MyBook, Passport, Caviar, or Scorpio, we can help. Through the early years of the 1970s, WDC made their money by selling calculator chips — by 1975, they were the largest independent calculator chip maker in the world. The oil crisis of the mid-1970s and the bankruptcy of its biggest calculator customer (Bowmar Instrument) changed its fortunes, however; in 1976, Western Digital itself declared Chapter 11 bankruptcy. After this, Emerson withdrew their support of the company, and WDC was on its own. WDC introduced several landmark products during this time, including the MCP-1600 multi-chip, microcoded CPU (used, among other things, to implement DEC’s LSI-11 system and their own Pascal Micro-Engine microcomputer which ran the UCSD p-System Version III and UCSD Pascal), and a string of single-chip floppy disk drive controller chips, notably the WD1771. The WD1771 and its kin were WDC’s first entry into the data storage industry; by the early 1980s, they were making hard disk controllers, and in 1983, they won the contract to provide IBM with controllers for the PC/AT. That controller, the WD1003, became the basis of the ATA interface (which WDC developed along with Compaq and Control Data’s MPI division, now owned by Seagate) starting in 1986. In the mid-to-late 1980s, WDC also dabbled in graphics cards (through their Paradise subsidiary, purchased 1986), core logic chipsets (by purchasing Faraday in 1987), and networking. They did well (especially Paradise, which produced one of the best VGA cards of the era), but storage-related chips and disk controllers were their biggest moneymakers. In 1986, they introduced the WD33C93 single-chip SCSI interface, which was used in the first 16-bit bus mastering SCSI controller, the WD7000 “FASST”; in 1987 they introduced the WD37C65, a single-chip implementation of the PC/AT’s floppy disk controller circuitry, and the grandfather of modern super I/O chips; in 1988 they introduced the WD42C22 “Vanilla”, the first single-chip ATA hard disk controller. 1988 also brought what would be the biggest change in WDC’s history. That year, WDC bought the hard drive production assets of PC hardware maker Tandon; the first products of that union under WDC’s own name were the “Centaur” series of ATA and XT attachment drives. By 1991, things were starting to slow down, as the PC industry moved from ST-506 and ESDI drives to ATA and SCSI, and thus were buying fewer hard disk controller boards. That year saw the rise of WDC’s Caviar drives, brand new designs that used the latest in embedded servo and computerised diagnostic systems. Eventually, Caviar drives were selling so well that WDC started to dispose of its other divisions. Paradise was sold to Philips (it has since disappeared), their networking and floppy drive controller divisions went to SMC, and their SCSI chip business went to market leader Adaptec. Around this time (circa 1995), the technological lead that the Caviar drives had enjoyed was eclipsed by newer offerings from other companies (especially Quantum), and WDC fell into a slump. Products and ideas of this time didn’t go far; the Portfolio drive (a 3-inch form factor model, developed with JT Storage) was a flop, as was the SDX hard disk to CD-ROM interface. WDC’s drives started to slip further behind products by other makers, and quality began to suffer; system builders and PC enthusiasts who used to recommend WDC above all else were going to the competition (particularly Maxtor, whose products had improved significantly by the late 1990s). To attempt to turn the tide, in 1998, WDC recruited the help of IBM. This agreement gave WDC the rights to use certain IBM technologies, including giant magneto-resisitive heads, and access to IBM production facilities. The result was the Expert line of drives, introduced in early 1999. The idea worked, and WDC regained much respect in the press and among users, even despite a recall in 2000 (which was due to bad motor driver chips). WDC has since broken ties to IBM. WDC is also notable because it is the first manufacturer which, in 2001, offered mainstream ATA hard disk drives with 8MB of cache buffer. At that time most desktop HDDs had 2MB of buffer. WDC labelled the 8MB models as “Special Edition” and distinguished them with the JB code (the 2MB models had the BB code). The first 8MB-cache drive was the 100GB WD1000JB and soon models with capacities from 40GB to 250GB and more followed. WDC advertised the JB models as a good choice for cost-effective file servers. In 2003, WDC offered the first 10000RPM Serial ATA HDD: The WD360GD “Raptor” with a capacity of 36GB and an average access time of less than 6ms. Soon, the 74GB WD740GD, which is also much quieter, followed. As of 2004 the “Raptor” drives have 5 years of warranty, making them an excellent choice for cheap storage servers. In October 2010, Western Digital announced the first 3 TB internal hard disk drive. In March 2011, Western Digital set the groundwork for a huge leap in market share when it made plans to procure Hitachi Global Storage Technologies, for about $4.3 billion of which $3.5 billion was paid in cash and the remaining portion paid with 25 million shares of Western Digital. On October 21, 2011, Western Digital’s Thailand Plant suspended operation in relation to the 2011 Thailand floods. The shut down resulted in a shortage of hard drives, and actually caused a spike in pricing for a short time. The increase in price, resulted in increased profit for Western Digital that year. 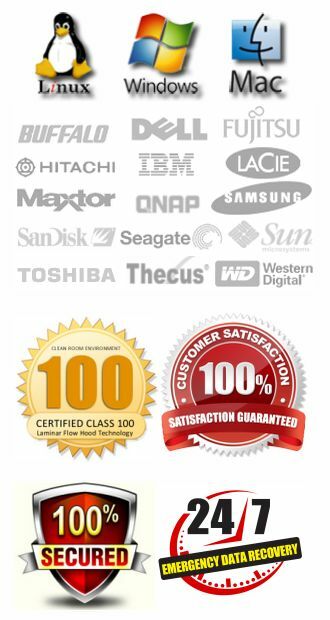 In March 2012, Western Digital completed it’s procurement of Hitachi Global Storage Technologies. This officially made Western Digital, the largest hard drive manufacturer in the world. In July 2012, Western Digital announced a “Red” series of drives, designed for network-attached storage (NAS) devices. This series of drives has a special firmware designed for Home/Small Business environments, has better reliability than standard desktop drives, is more energy efficient and comes with a 3-year warranty. In November 2012, Western Digital announced a 4 TB internal HDD – 3.5-inch, 7200 RPM drive of the ‘Black’ series. On January 27, 2013, Timothy Martin Leyden announced WD would invest US $200 million to expand in Thailand. Operations resumed in Thailand after it recovered from damage during the 2011 floods. In November 2013, Western Digital (through its HGST subsidiary) showed off new helium-filled 6 TB Ultrastar He6 hard disk drives. When compared to regular air-filled HDDs, they claim 49% of reduction in power usage per terabyte of storage. In December 2014, Western Digital acquired Skyera, a flash-based storage development company, integrating the newly acquired company into its HGST division.